We are proud to be your one stop source for fixing any vehicle to pre-accident condition! As a part of Harper Auto Square we get to work with the manufacturers directly and have many certifications in a number of makes including Acura, Audi, FIAT, Infiniti, Porsche, and Volkswagen. All ProFirst Certified shops are validated for their skills and expertise, commitment to a complete, proper and safe repair, to ongoing industry education, and to consumer satisfaction. Harper Collision Center is proud to be a ProFirst certified shop and with our close relationship with the manufacturer we can provide a superior repair experience! Should your Audi need repair, make sure you entrust it to a facility that meets the Audi standard of workmanship. 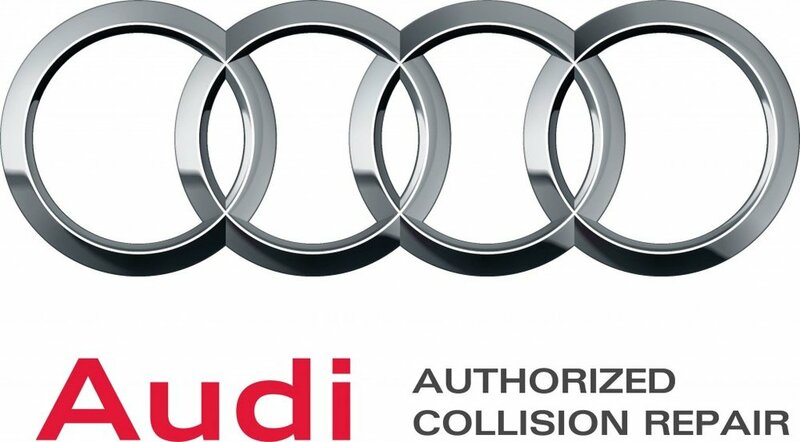 As the only Audi certified collision repair in East Tennessee, we service all Audi models in Knoxville as well as Chattanooga, Johnson City, and Kingsport. The necessary tools and equipment needed to repair your vehicle. Skilled repairs along with Genuine FIAT parts to help preserve your vehicle's value. Lifetime warranty on complete collision repair. Infiniti Certified Collision Repair Network Shops have the ultimate combination of highly trained craftsmen, advanced tools and technical know-how to meet your high standards. Adherence to Infiniti's strict repair standards. Prioritized use of Genuine Infiniti replacement parts. Compliance with all vehicle warranties. Peace of mind knowing that your vehicle is in professional hands. Harper Collision is very proud to be the only Porsche Approved Collision Center in the state of Tennessee! Assuring Porsche's high standards of performance and quality requires skilled and trained professionals who adhere strictly to Porsche restoration procedures. Porsche Approved Collision Centers commit to these procedures, and to the use of genuine Porsche parts, materials, tools and equipment.